Ahmed Mohamed, the Texas teen who became famous after being placed in handcuffs over concerns that a reformatted “clock” he brought to school resembled a hoax bomb, went on Twitter on the 15th anniversary of 9/11 to cast himself as the real victim of the terror attacks, which he blamed for last year’s clock incident. On Monday, Ahmed tweeted a picture of himself alongside a Middle Eastern man. The man’s name is named Nawaf Al Maghames, according to the Snapchat caption. 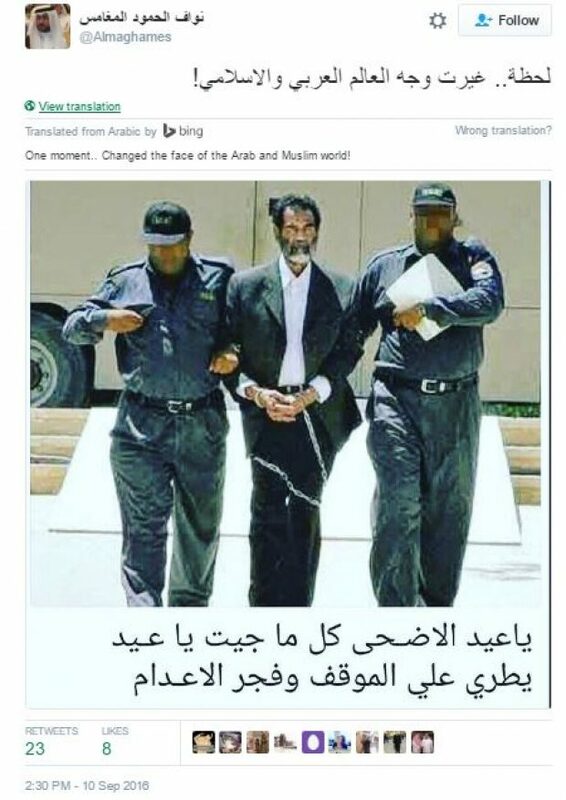 Maghames’s Twitter feed reveals him to be an admirer of Saddam Hussein. The picture depicts Hussein in a hangman’s noose, standing in front of a crowd of cheering, pig-faced men. 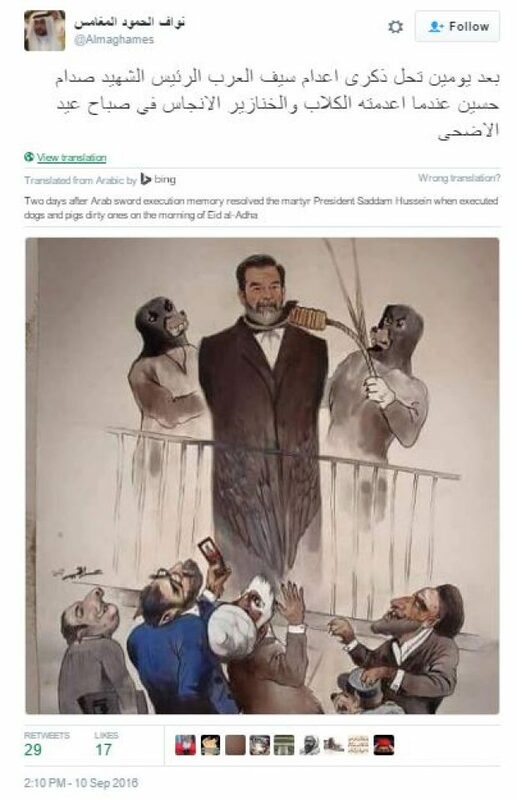 In the picture, Hussein is surrounded by dogs wearing hangmen’s clothes. It’s unclear how Maghames and Ahmed know each other.